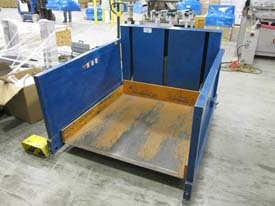 Platform Size: 44" x 48"
With internal power, Pallet Pal Roll-On Level Loaders lower to floor height so pallets can be rolled on and off with a hand pallet truck. 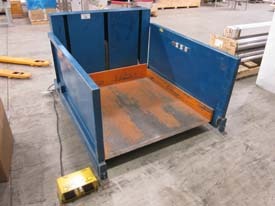 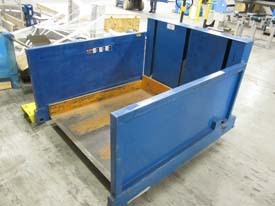 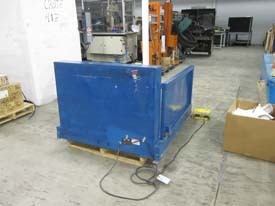 The lift is then easily adjusted by the footswitch to maintain an ideal height for manual loading and unloading. 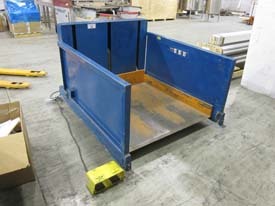 The narrow side and back panels allow for easy reach over for 4 side access. 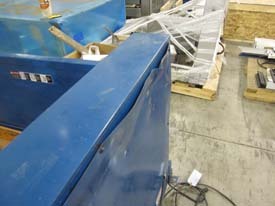 Please note: The back panel has dent in it. 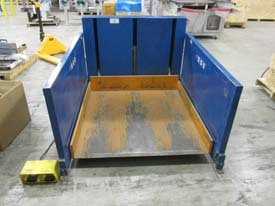 It does not effect the functionality of the lift.